I've painted the number of our house on the door. 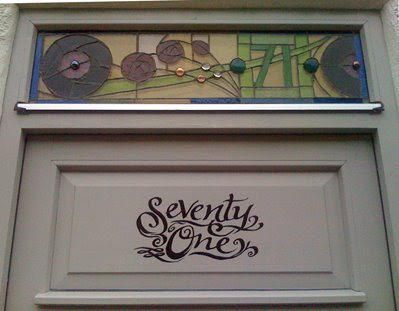 Despite making some stained glass for it a few years ago when I did a course at the local college, nobody takes a blind bit of notice of the big green '71' over the door, so we get parcels and callers for 91, 73, 67...but not 69, since there is no 69. So now the postie gets this every morning! Drawn in Hard-To-Buff black ink.